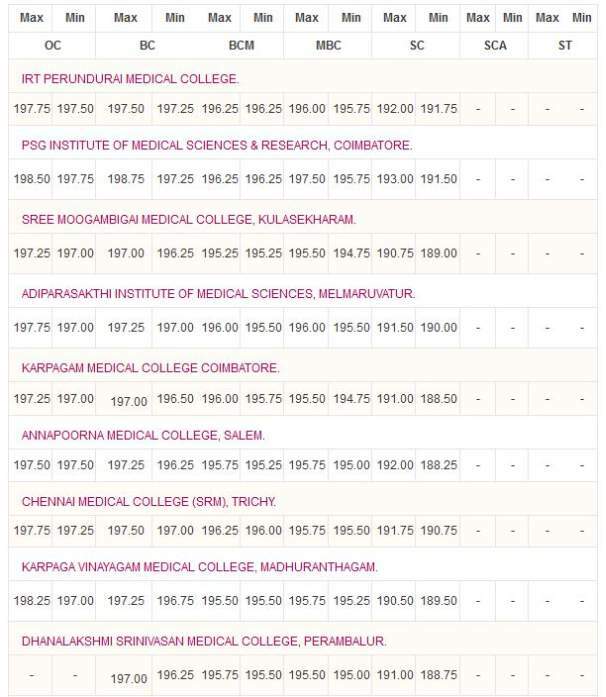 Can you tell me with score of 190.0 in which Private Medical College in Tamil Nadu I can get admission? Also list me the names of Private Medical College in Tamil Nadu? ACS Medical College & Hospital, Chennai â€“ Dr MGR Educational & Research Institute (University). Meenakshi Medical College & Research Institute, Kancheepuram â€“ Meenakshi University. Vinayaka Missions Kirupananda Variyar Medical College, Salem â€“ Vinayaka Missions University.